Every Wednesday night, May 1 – September 27, is Dining Under the Stars. Media’s main street closes down for traffic and opens up for al fresco dining from Jackson to Orange Sts. 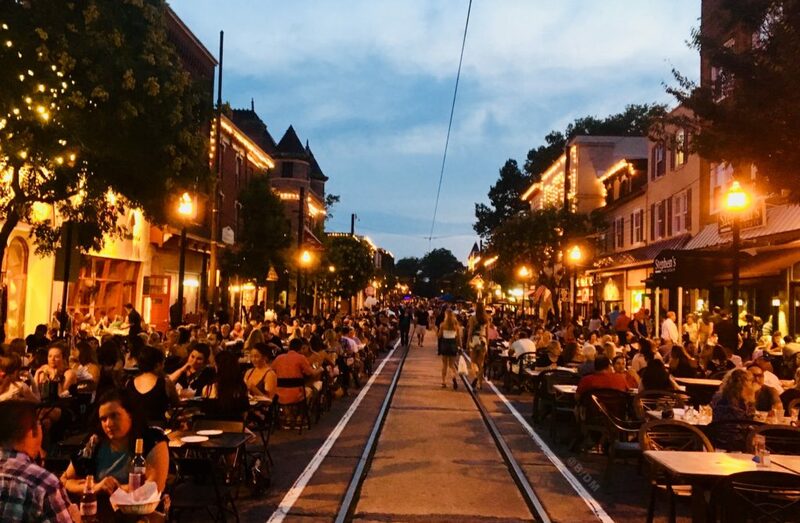 “Dining under the Stars” is great for groups, great for kids and was named “Best of the Main Line, Al Fresco Event” by Main Line Today. There is live music all along State Street and over a dozen different restaurants participating in the seasonal event. Reservations are nice, but not required and with so many places to choose from, walk-ins are definitely welcome.